Most of you know Rebekah & Kellie, the co-founders of the Reset Conference, but many of you may not know the extra faces behind the scenes. Keep an eye out for these support staffers at the conference. We are so thrilled to meet you all! Ebby Lowry is our styled shoot/mentorship coordinator for the 2019 Reset Conference. Ebby’s job is to arrange all the things that go along with these intensive learning opportunities — shootouts, 1-on-1 mentorships, locations, communication, scheduling, and booking. It is not an easy task to manage that many people, sunset times, models, and locations in a distant city. Ebby will also be running around on Friday checking on all the shootout hosts, places, and attendees throughout the day. Ebby is a wedding and engagement photographer based in Chicago. She’s engaged to Jon (they’re getting married later this year!) and dog mom to Fluff. Ebby can be found on Instagram here. If you see Ebby around, be sure to tell her thanks for all she’s done to organize and coordinate the shootouts and 1-on-1s! Holly Birch Smith is our blog manager for the conference. She’s been blogging a few times a week with all the info you need to know leading up to the conference — things to do, eat, and see around Louisville, facts about the Seelbach, information about the conference and its speakers, and educational blog posts from the speakers themselves. She hopes she’s provided you with all the necessary info to get you to the conference and to navigate Reset weekend successfully. Holly is a wedding, senior and commercial photographer based near Champaign, Illinois. She is married to Aaron, and they have 2 kids, Maximus and Hadley, and 3 animals — Roscoe the dog, Lucy the cat, and Larry the bearded dragon. Find Holly on Instagram here. Halee Cross is the face behind the Reset Conference Instagram handle. Halee posts a few times a week with beautiful photos from our team, the Louisville Convention & Visitor’s Bureau, the Seelbach Hotel, and some of our favorite and inspiring photographers and artists around the country. Halee lives in Champaign, Illinois, and recently started her own photography business, photographing couples & families. Find Halee on Instagram here. Suzy DeVries & Natasha Sebens are weekend support staff for the Conference and will be assisting with setup & registration. Suzy DeVries is a senior photographer based near Bethalto, Illinois, serving the St. Louis/Edwardsville area. Suzy is married to Wade and has 4 children at home — Reagan, Blake, Brinley, and Jack. You can find Suzy on Instagram here. 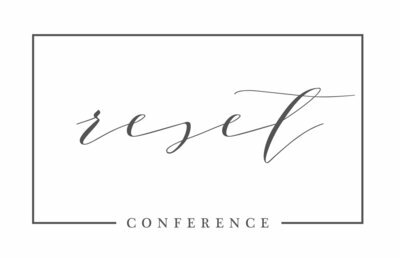 Natasha Sebens recently started her business as a wedding and portrait photographer, and is looking forward to her first Reset Conference (though you may recognize her as one our styled shoot wedding models from last year!). And Natasha just celebrated her first wedding anniversary to Tyson! Find Natasha on Instagram here. Additional support staff for the weekend includes Tyler Penn (left photo with the rest of the Penn clan), husband to none other than Reset co-founder Kellie Penn. Tyler will be around helping with all sorts of odds and ends, including by not limited to setup, security, and video footage. When Tyler isn’t helping with Reset, he also leads a campus ministry based in Champaign. Tyler & Kellie have 3 kids, Mason, Millie, & Madden. Ryan Reid (middle photo with his family) is back for another Reset Conference as our in-house DJ. He’ll be spinning tunes all weekend before, after, and in-between classes, and also at the Gala on Saturday evening. When Ryan is your DJ, you can’t help but move your feet! When Ryan’s not DJ’ing weddings and events, he works at Visit Champaign County. Sheryl Lewis (far right third photo) & Rachel Doll Hall (red dress in third photo) are no strangers to the Reset Conference and are also related to co-founder Rebekah Albaugh! Sheryl is Rebekah’s mom and Rachel is Rebekah’s sister. Rachel is also Rebekah’s client manager and handles all her Honeybook correspondence. Any of the people listed above will be happy to assist you at the conference, or will help you find someone who can. 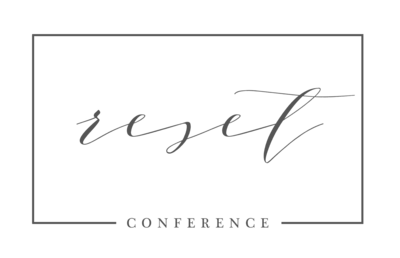 Thank you for attending the 2019 Reset Conference for creative entrepreneurs! !